The most challenging, yet rewarding part of traveling is the planning stage. With a lot in mind, it is often difficult to organize your thoughts and make your ideas budget friendly. That is why a lot of people spend a considerable time in trying to devise the perfect plan. It’s all worth in the end, because the best plans often veil the best journeys! Although everything might not go accordingly, at least you’ve done your preparations. When it comes to planning, travel hacks work out well. The lesser known ones would help you in the best situations. Here are some of these that you would want to consider. If you’re planning a budgeted holiday to any of the travel destination, it is wise to be flexible with your plans. Although everyone desires to travel over the weekends because of obvious reasons, this can often turn out to be costly. Weekend traveling often brings about the highest costs and getting hold of a cheaper fare is seldom possible. Working over the weekends can help you in getting cheaper airfare by traveling on some weekday. A glance into your suitcase can clearly show how well you’ve planned for your trip. The ‘What’ and ‘How’ of packing can have a huge impact on your trip. Travelers seldom realize this. Many of us have a tendency to over pack our luggage. This doesn’t work out well for your baggage allowance. Airlines have become increasingly strict over the baggage rules and packing a lot of stuff would only add to your misery. Carrying unnecessary stuff to a foreign land is a foolish act. Before packing, it would work out well for you if you lay out all your belongings on an open surface. Carry half of these in your suitcase. That’s how much you need, maybe less! 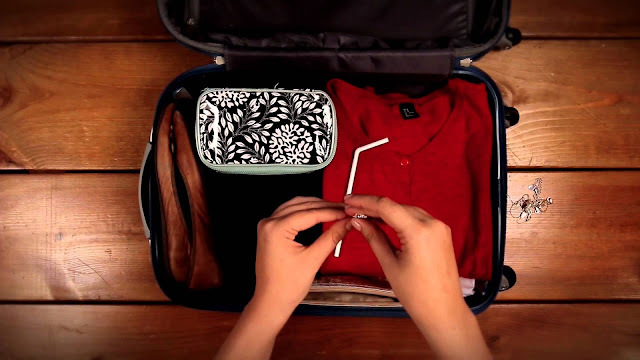 Although many of us fold clothes in a suitcase, rolling them would create more space for other packing items. Creating a packing list is very helpful because you can tick off the items you’re done with. Despite how organized a destination is, it will always appear alien to a person traveling to a distant land. The life of a traveler can be very difficult, especially when it comes to getting foreign currency exchanged. It is best to do your homework in advance if you don’t want to end up in a miserable state. Airport kiosks must be avoided at all times because they charge way higher than the normal. It would be wise to carry a little foreign exchange before you begin traveling. This would come handy at various points. However, for the bigger transactions, ATMs would out the best. Studying the bank policies in advance is always fruitful instead of getting any unnecessary surprises. We’re luckily living in times where we get rewarded for traveling. Shouldn’t we make the best use of it? Signing up for the frequent flyer program is beneficial for flyers. Even when you don’t fly, there are so many ways to earn rewards. Choosing the best frequent flyer program takes a lot of study, look for the one that benefits you the most!